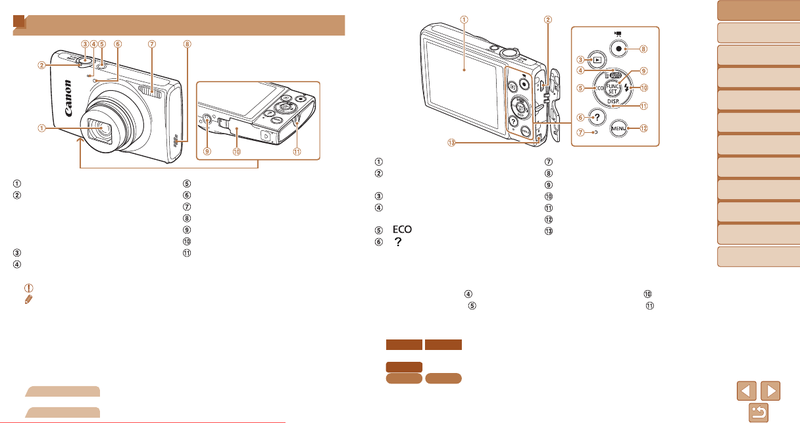 • Shooting modes and on-screen icons and text are indicated in brackets. • Instructions in this guide apply to the camera under default settings. buttons on which they appear, or which they resemble. • The following camera buttons and controls are represented by icons.